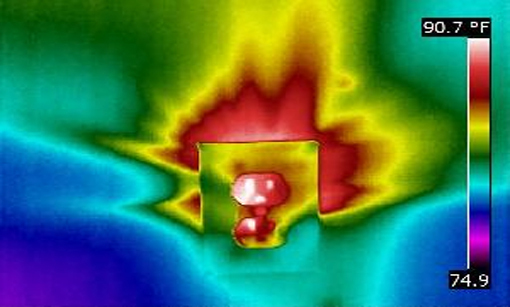 Infrared thermography is very commonly used to perform predictive maintenance inspections on electrical equipment because excess resistance on a electrical apparatus indicates electrical faults such as loose connections, overloaded or imbalanced circuits, faulty breakers, damaged switches, faulty fuses and a wide range of other unwanted electrical conditions. Before an electrical component burns up, it heats up. 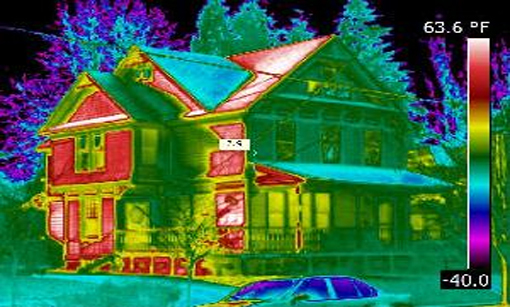 Thermography is used to see the excess heat (resistance) so that problems can be found and maintenance personnel can act to correct the problem before the component fails, causing damage to the component, safety hazards and/or production downtime.